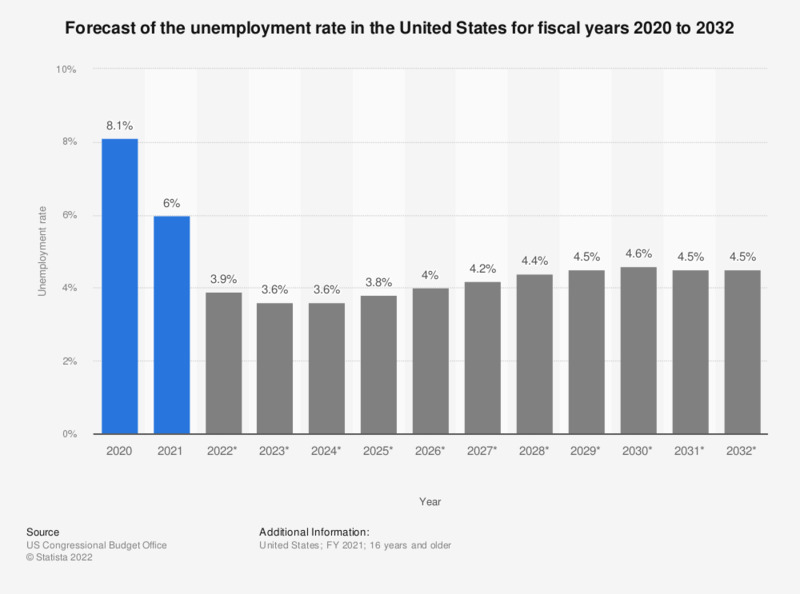 This statistic displays a forecast of the unemployment rate in the United States for fiscal years 2018 to 2029. The forecast predicts a decrease in unemployment from 4.0 percent in 2018 to about 3.6 percent in 2020. For the latest monthly updates on unemployment in the United States visit either the monthly national unemployment rate here, or the monthly state unemployment rate here. Both are seasonally adjusted.